This Twinings wooden tea box was designed specially for one of our customers, the Twinings Tea Company. 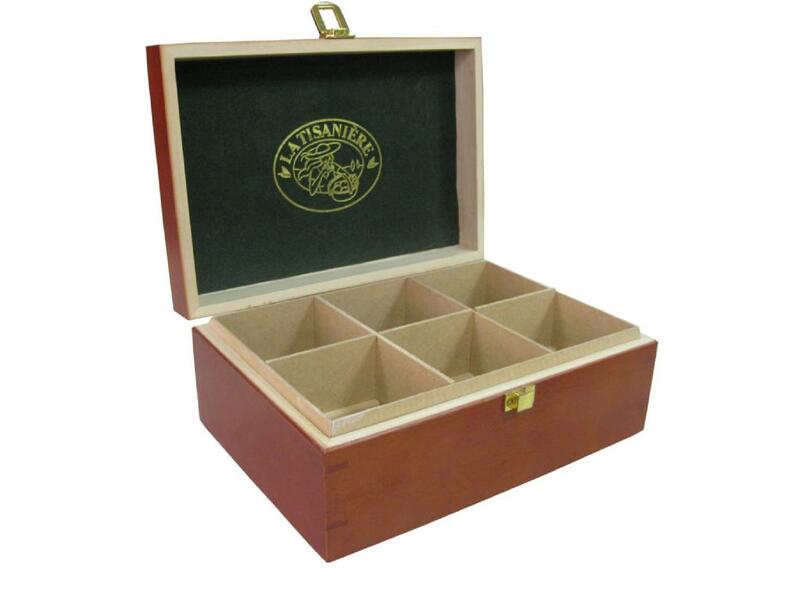 It has six compartments and the inside is a natural wood color with sturdy wood dividers. We used butterfly hinges and a quality lock on this design. 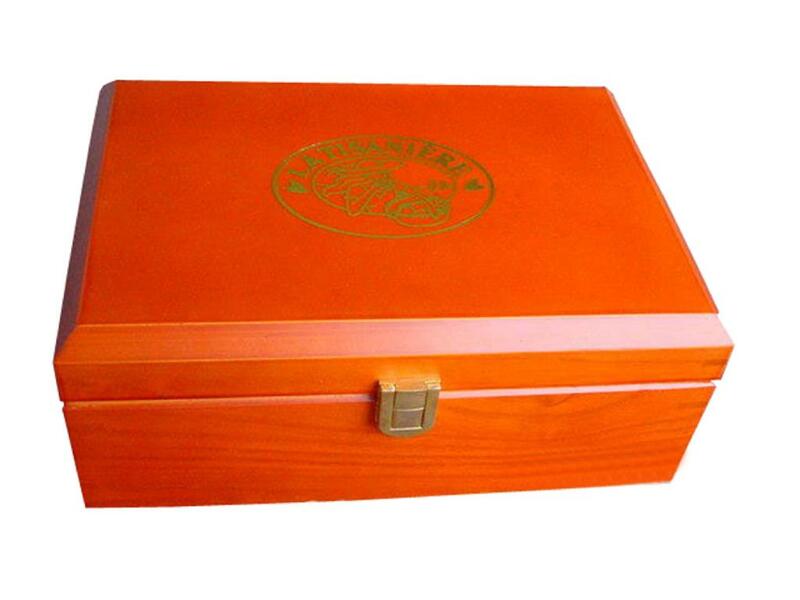 Extreme Enterprise is a first class manufacturer of high quality custom wood tea boxes. We are committed to providing you with an excellent product that will exceed your expectations, excellent customer service and a guaranteed price that will beat all our competitors. Utilizing our skilled craftsmen, we pride ourselves in manufacturing the highest quality custom made boxes available in China.